BY FAR light cannon was one of the best decisions we made for our big fat Indian wedding. They are easy to work with, approachable, fun and are truly passionate about the work they do. Our highlight film is AMAZING. Luke and his team captured our special day in the best way possible. Hire them and you will not be disappointed! Advance to GO! Call them now! Love Luke, Christiana, and team! AND - there is a very noticeable explanation to their constant FIVE STAR RATINGS everywhere you look!!! We happened upon this amazing group completely by mistake, but what an amazingly wonderful 'mistake' it was! Christiana makes you feel as if you're her best friend. And Luke, well, though he is right in the middle of everything, he would NEVER appear on anyone's radar. He and his team move stealthily around, capturing EVERY MOMENT, and as if that isn't enough, somehow puts everything together perfectly. Even the music couldn't be better. If you are so lucky as to be able to hire a videographer team for your wedding, don't think twice about Light Cannon Films. As so familiar in board games, Advance to GO! Call them now! My husband and I can't say enough about the incredible work done by Light Cannon videographers! Planning our Wilmington wedding from Raleigh, we relied on their online videos of previous weddings. The way they captured each individual wedding was obvious in their videos. My initial conversation with Luke sealed the deal. They were present without being seen and their eye behind the camera is amazing. Shortly after our wedding, we received our highlight film. We have watched it at least a dozen times and my parents have worn theirs out. Sharing it with family and friends has been such fun! I absolutely loved everything about the help and expertise from Light Cannon! Jamie and I would highly recommend them to every couple planning a wedding in Wilmington! Thank you again for EVERYTHING Christiana, Luke and team!! The Light Cannon team was so incredible!! When I was originally looking at our wedding budget, I thought of videography as more of a "luxury" item. I am SO glad I still decided to have this for our day. Christiana was so helpful with answering all of my questions and helping the video really feel like a story of us. Luke was incredibly helpful at making us feel at ease while he was filming, and made us look so natural in the video. I recommend these folks for anyone who wants to remember the magic of their wedding day. While I love all the keepsakes we've gotten from our wedding vendors, having a video capturing the best mans speech, our laughter during the ceremony, and my bridesmaids hilarious "getting-ready" moments was one of the best things we have to remember the day for the rest of our lives. We've already re-watched the videos at least 50 times! Light Cannon Films deserve more than 5 stars! They are such a talented team. Christiana and Luke are SO warm, caring, friendly, and professional. It is obvious from initial interactions with them that they are not just doing their job, but instead, are truly interested in building a relationship with clients and telling their stories through film. On our wedding day, Luke and his second shooter made us feel so relaxed and comfortable. We were encouraged by their kind and calm presence, but also never really noticed a camera being in front of us, allowing us to interact naturally throughout the day. Receiving our highlight film from LCF blew us away. We watched it on our one-month anniversary and were in tears, amazed at the way our love was captured with such creativity and thoughtfulness. LCF is a wedding investment you definitely will not regret! I could not recommend light cannon enough! They are the vendor I am most glad we picked! From day one, Christiana (who I spoke with most via emails) was SO incredibly helpful, sweet, and went the extra mile! She answered every one of my questions in great detail. She is probably one of the sweetest people I’ve ever worked with. Videography is a big choice for a wedding and I knew after watching a few of their videos that I wanted them to document our day. I was crying at random strangers videos so I knew their work was special! We worked with Taylor as our main videographer. He and his assistant were the BEST! They made us so comfortable and put us at ease. (Taking 1000s of photos and touching foreheads in front of random strangers can be a little strange) but they kept us laughing. Ultimately, they captured the best day of our lives in a way I could’ve never imagined. The videos they created are something my husband and I will cherish forever! I don’t think what I have to say will do Christiana and Luke justice. They were absolutely wonderful to work with and captured our day so beautifully! Thank you again from the bottom of our hearts! Wow.... seriously, words can not explain how awesome not only light cannon film’s work is, but how amazing Christiana and Luke are! They are, without a doubt, a pleasure to work with! My husband and I purchased the largest “package” that light cannon had to offer (forgive me, I can’t remeber the name of it...). I knew that our videos that we would receive from them would of course be priceless because they were of us and our special day.... but wow! We were blown away and speechless when we received our short film! It was fabulous. The service that light cannon films provides is truly an art and its impeccable, as is their customer service (which is more like a friendship). I know weddings can get expensive... don’t skimp here. Choosing light cannon films was BY FAR one of the best decisions my husband and I made while planning our wedding. If I had to do it over again, they would have been my first vendor booked! :) happy planning! I did a lot of research to find the best videographer in Wilmington and Light Cannon Films did not disappoint! I was blown away by my wedding film! They did such a good job of capturing the emotions of our wedding day! We originally did not have a videographer in our budget and I'm soooo glad we changed our minds. Our video is probably the best money we spent because we will have it forever! The Brown's are absolutely wonderful and did a phenomenal job on our wedding films. They made everyone feel comfortable and captured the spirit of our wedding day in their work. They have a true talent and have honed their craft in a way I have yet to be seen from other videographers. Thank you Light Cannon Films! I HIGHLY suggest Light Cannon Films! It is evident that Luke and Christiana are passionate and enthusiastic about videography, which is shown in their work. 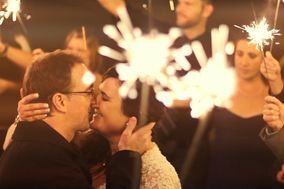 From the moment Christiana responding to my inquiry email, my husband and I were immediately impressed and knew that we wanted them to be part of our big day. On the wedding day, Luke and his associate made us feel very comfortable while being filmed, and were both fun and easy to work with. They are not only professional and great to work with, but they also produce great products. We were amazed with how our video came out. They captured not only all the small details, but they also reflected our personality throughout the video. Having Light Cannon Films was worth every penny! Luke & Christiana are absolutely amazing! Not only are they the cutest couple ever - they are extremely professional and do amazing work! They are by far the most fairly priced videography team in Wilmington and their work gets better and better with every video they do. They did an incredible job capturing our big day. Our highlight film makes us want to re-live that day over and over again! If you get the opportunity definitely take advantage of their aerial footage option - you won't be disappointed. The best part about working with Light Cannon is not only are they dependable and talented, but they are great people overall. So nice to do business with genuine people who actually care about you! Ah, I can't say enough nice things about Light Cannon! They're great videographers and above all, they're amazing people! We planned our wedding from Boston and we didn't meet in person until our wedding day, but even in our google chat & phone conversations with them, we knew they were perfect for us. I decided to put together a surprise engagement video for my husband and Light Cannon used that footage in our highlight film. I knew they were going to do a great job because I had seen their work from other weddings, but I never thought it would have turned out as well as it did. It's unbelievably, amazing! Words can not describe how much I love it. The editing. The music. The voiceovers. They captured everything we wanted and more! If you're planning a wedding and debating whether to work with them - DO IT! You won't regret it! My husband and I agree that this is the best money we spent on our wedding. The makeup, the hair, the flowers will all go away after your wedding, but you'll want something that you can treasure forever. Light Cannon gives you that gift. There's something so special about hearing the voices of your closest friends and family while watching highlights of your wedding day. Their films transport you back to the best day of your life. I am overwhelmed with love and joy everytime I watch my highlight video and it's the best feeling in the world! I feel so fortunate that we had them film our wedding day! I cannot possibly put into words what your work has done for us. I started crying within the first 20 seconds of watching this! The way you put together the day, from the speeches, to the events, and the music... you are so incredibly talented. This was more than I could have ever imagined or hoped for. You captured our joy and every aspect of this incredible day!!!! Honestly, like most people, videography was a part of the budget we were going to cut. Not that we didn't see the value in it.. but weddings are so expensive! (as you know!) In my opinion it was some of the BEST money spent on our wedding! Absolutely irreplaceable!!!! I was worried that I would feel nervous being video taped and that no one would act like themselves... but I rarely ever noticed you guys!!! Some of my guests mentioned the same thing, that they didn't even realize our wedding was video taped! That is so important, as everyone felt comfortable to be themselves. You both were absolutely WONDERFUL to work with! I enjoyed every step of the journey with both of you. You are both so easy to be around and so fun and laid back. You made us feel so comfortable at a time we were nervous! My photographer also told me how great you both were to work with. Also, the love between you two is almost tangible and inspiring for couples during their engagement. For future brides: BOOK A VIDEOGRAPHER! This is so easy to overlook because let's face it, planning a wedding is expensive, and one more added expense will make you want to pull your hair out. However, this is the best investment for your wedding day! DO IT! I found out about Light Cannon Films through a mutual friend. I researched them and their work and fell in love with the way they captured every detail of a bride and grooms wedding day! Working with them was such an ease and even the day of the wedding, when I had so much going on, I barely even knew they were there! They were so efficient throughout the entire day and diligent to all my wedding details. I couldn't wait to see the video! Getting the email with the highlight video was comparable to waking up on Christmas morning...I was SO EXCITED! And then watching it for the first time, I cried happy tears because it brought back such amazing feelings from my special day! Thank you thank you thank you, from the bottom of my heart! Now I have these precious moments preserved in such a beautiful way and I can fall in love with my day all over again every time I watch it! I am so glad I decided to go forward with hiring a videographer for our wedding day. It was certainly worth it! Having a videographer is one of the recommendations I would give to all future brides. I made sure to include the cost of a videographer in our budget and I have never regretted that decision! It has been a gift to look back over the film and see the details of that day that can so easily be missed in all the excitement. Light Cannon Films was more than helpful during the wedding planning process. I had the opportunity to express what was most important to my husband and I about our wedding day. Light Cannon Films took that into consideration when producing and editing our films. The team at Light Cannon Films is extremely professional and the videos they make will leave you in awe! We met Luke and Christiana at Courtyard and Cobblestones, and we are so glad we did. Robert and I knew we wanted video to capture the day and they did not disappoint. I met with Luke the first time almost a year before the wedding, and then again a few weeks before the big day to make sure he knew what we could expect, what he wanted to capture, things/people that we would especially like filmed, and any other details...getting to know us better. They really were able to tell a story about us, it was incredible!! We saw the reel, and recently received the rest of the video. There were so many things we didn't get to see or forgot, especially funny moments!! We are so thrilled we got to work with this team, they are wonderful!!! If we had another event we wanted to filmed, we definitely would go back to Light Cannon!! Luke and team were such a great addition to our wedding day. They captured more than I could have ever imagined- from getting ready at the salon to saying I do- they were a blast and were never ever in the way. Luke made it a point to meet with me and my husband a few months before the big day to get to know us so he could figure out exactly what we would be looking for in a film. His team is so professional and a blast to be around. Also, the quality of the film you receive is amazing- especially for the cost. I still spend many moments watching his wedding films online. My husband and I have nothing but wonderful things to say and would highly recommend having Light Cannon Films a part of your wedding. I have no words for Luke Brown. If I could give him a thousand stars on here, I would. Mindblowing is the best word I can think of. It is amazing when you work with someone who is just as excited about your ideas as you are. Luke really took the time to cater to our needs in regards to payments, which we are grateful for beyond words. Not only that, he understood our vision, and really took charge to make it everything that we wanted. His personality is awesome, so it made it even more of a joy to work with him. We have not yet seen our video, but I have 10000% faith in knowing that it is going to be everything we dreamed of. Thank you Thank you Thank you Luke! Luke was amazing to work with! My family and friends loved the video and I can't stop watching it as it truly encompassed my wedding day!! He is well priced and went above and beyond to make sure I was happy with everything! I wanted to personally thank you so much for all your hard work on daughter's wedding. It was a such a pleasure working with someone with so much talent and dedication to his work. Everyone commented on how encouraging you were and always had positive comments to say. Luke did such a great job with our video! I loved watching the other videos he had done and was so excited when he told me he was available for our date and willing to drive to Charlotte for my wedding. He was very professional and personable. A few weeks before the wedding he called me to talk about the wedding and get the details so he could understand who we are as a couple and to be sure he knew the plan for the day so that he wouldn't miss anything. I really appreciated that and it certainly paid off. He made me and my bridal party feel so comfortable, which made the video so much better, because we were able to be ourselves. The video he made was everything I had hoped for. It truly showed our personalities and our relationship. 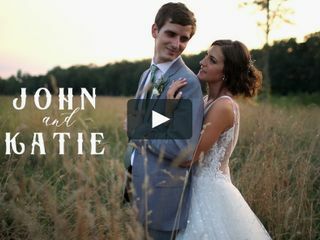 He put the whole day in a video that is easy to share and showed the whole process from getting ready to our grand exit in a seamless way that was fun to watch and made us want to relive the day over and over. Luke did a great job! He is so personable and charming, and he really made everyone feel at ease. And his finished product was beautiful! Luke was wonderful!! Our video was amazing and so much fun to watch. I would highly recommend him. He is just as good or better than other (higher priced) videographers.